New Architectural range also includes in-wall and in-ceiling speakers. Sonos has announced its first outdoor speakers, along with speakers designed to be embedded into the walls and ceilings of your home. However, readers hoping to place a couple of wireless Sonos speakers in their garden or on the decking might be disappointed, as these require hard-wiring to an amplifier inside the home. Instead of being wireless, the speakers — which cost $799 for a pair — need wiring to the new $599 Sonos Amp, which is designed to stay inside the house. So, while your barbecues and garden parties can certainly benefit from Sonos sound, you'll need to perform some DIY to get all the wiring setup. The range, called Sonos Architectural by Sonance, also includes speakers which can be embedded into your walls and ceiling — although not in an outdoor space. These speakers, called the Sonos In-Wall and Sonos In-Ceiling respectively, cost $599 per pair. Sonance, if you are wondering, is a reputable audio company in its own right, producing speakers designed to be slotting into walls and hidden away since 1983. 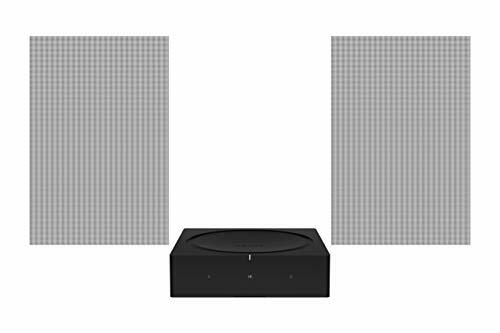 Sonos says up to three pairs of the Sonance speakers can be hooked up to a single Sonos Amp. These means, if you have a suitably large space (and budget) you could fit two in the ceiling of your kitchen, two in the walls, then two out in the garden and fit them all to one Sonos Amp, giving you seamless sound between the two spaces. 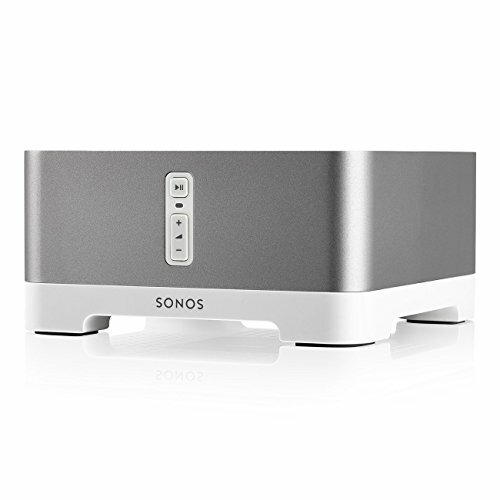 Of course, the Amp can be controlled via the Sonos app or by speaking to Alexa, Siri or the Google Assistant, just like other Sonos products. The outdoor speakers, Sonos says, are designed to withstand humidity, water, salt spray, heat, UV rays and freezing temperatures. The in-wall and in-ceiling speakers are covered by grills which can be painted to match their environment, but are only designed for indoor-use. The new Sonance In-Wall and In-Ceiling speakers are available to pre-order now, with deliveries starting from February 26.The Sonos Outdoor will arrive in April. As for the new 2019 Sonos Amp, it is more than twice as powerful as its predecessor, the company says, and now supports Apple AirPlay 2 for easy streaming and Siri control from iOS devices. It also includes access to over 100 streaming services, including Spotify, Amazon Music and Apple Music, and has an HDMI-ARC connection for connecting to your TV. The Amp is available in the US now.